$8.46 /SF (Versailles Pattern - 160 SF Pallet) Contact us for pricing and quantity discounts. Local pickup and direct shipping anywhere in the USA. 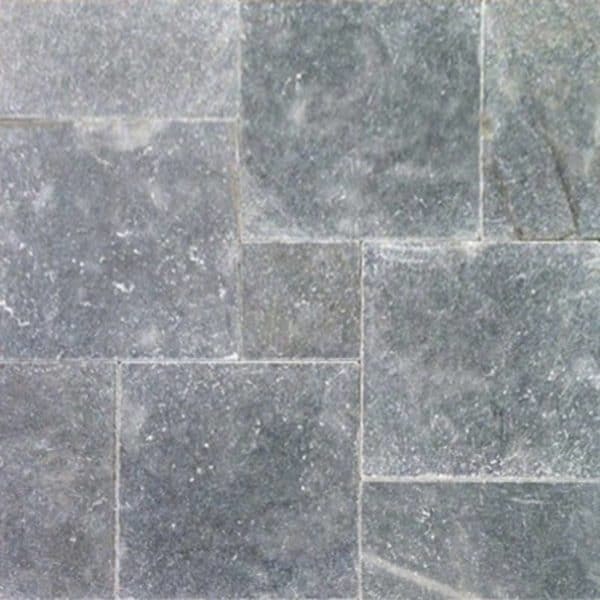 The deep blue color of Atlantic Blue is exquisite and the stone is perfect for any pool deck or patio. This tumbled marble is strong and durable. Dimensions and thickness are consistent for ease of sand set installation. The pavers are recommended for interior and exterior use. It is available as a 1.25 inch thick paver and as a 2 inch thick pool coping. Atlantic Blue Marble Pavers are perfect for use around pools, on patios, walkways, and outdoor living spaces.